Not enough can be said about the job that Ron Fogarty has done in the last four seasons with Princeton. He took over a program that won just 25 games the prior three seasons and and after two tough years had them in the NCAA tournament in year four with an ECAC championship to boot. The Tigers are a team primed to make another run to an ECAC title along with getting back to the NCAA tournament and they have the pieces in place to do it. Despite graduating two big offensive pieces in David Hallisey (38 points) and Eric Robinson (31 points), two of the ECAC premier players returned for their senior seasons despite NHL interest. Ryan Kuffner scored 29 goals a season ago on the way to a 52 point season while fellow linemate Max Veronneau topped him with 55 points. Both are off to terrific starts with 14 and 11 points respectively in 8 games. Fellow senior Alex Riche has 8 points while junior Jackson Cressey has 7 points. They might not have the offensive depth they had a season ago with the two big losses but Kuffner and Veronneau are game changers and need to be defended at all times on the ice. The Tigers are the second best power play team in the country at 33.3% with Kuffner and Riche having three goals a piece on the man advantage. It will be key for Quinnipiac to stay disciplined and out of the penalty box in this series. Princeton returns top defender Josh Teves who had 33 points and was a plus 16 a season ago is already off to a strong start with 8 points in 7 games. Derek Topatigh already has three goals from the back end and is a plus 3 this season. Reid Yochim who a season ago had 14 points as a freshman hasn't scored a point in 8 games and is a minus 1. As a team the Tigers are giving up 2.8 goals per game. The Princeton penalty kill is outstanding at 89.7% which ranks them #1 in the country. Goals for Quinnipiac could be hard to come by in this series especially on special teams. Sophomore goaltender Ryan Ferland has been solid in net for Princeton going 3-4-1 with a 2.69 goals against average and a .917 save percentage. Quinnipiac saw Ferland twice a season ago beating him 6-2 at the Hobey Baker Rink before losing to him 5-3 in Hamden. He is a goaltender that will keep Princeton in the game and that is all you can ask from your goaltender. Coming off a sweep last weekend Quinnipiac heads back into conference play for the final time in 2018 before ending the first half next weekend against UMass Amherst. Four huge ECAC points are at stake for the teams that sit one and two in the conference standings. 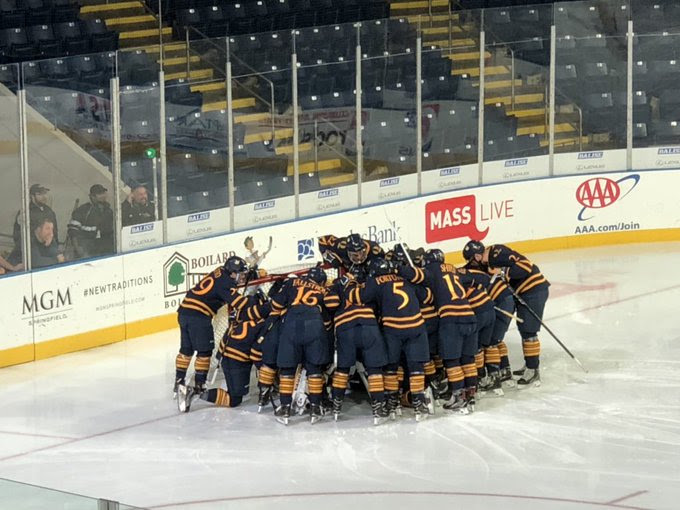 A Quinnipiac sweep would put some distance between them and the teams below them. To me a split in this series is at least a must and anything more would be gravy.